Mounted on the main laptop body it presses against the power microswitch on the motherboard to power up the laptop. DELL PART NUMBER : 0XN7R. PALMREST & TOUCHPAD. Dell:NADP-90KB,PA-12,00001,310-2860,310-3149,YR733,310-4408,310-7251,310-7696,310-7697,310-7866. Such as battery, ac adapter etc. (Apply for Battery Only). We will very appreciated for your doing. Lid - anodised aluminuim finish in really good condition with a couple of very light scuff marks. LCD screen - gloss finish in excellent condition with no large scuff marks or scratches. Screen bezel - black in excellent condition. LCD screen - gloss finish with Full HD 1920x1080 screen. Lid - anodised aluminuim finish in good condition with a deep scratch at one side. Taken from - DELL P12F KEEP IN MIND THAT ITEM IS USED. Make sure the item part number is compatible with your device. Simple and easy. If you have changed your mind or unsatisfied with your item. BATTERY POLICY. WEAR AND TEAR. BATTERY POLICY. Simple and easy. If you have changed your mind or unsatisfied with your item. WEAR AND TEAR. It may have light scratches or scuff marks. Simple and easy. If you have changed your mind or unsatisfied with your item. BATTERY POLICY. WEAR AND TEAR. CM161 / 0CM161 / JU012 / 0JU012. 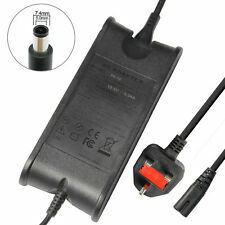 PA-4E DA130PE1-00 19.5V 6.7A 130W Power AC Adapter. 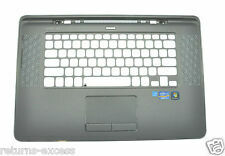 Dell Inspiron 5150, 5160, 9100, 9200. Warranty 12 months Long. Output:130w 19.5V 6.7a 7.4mm 5.0mm 1PIN. DELL PART NUMBER : 0XN7R. BATTERY POLICY. WEAR AND TEAR. Notebook manufacturers use different types of screens when assembling a single model of laptop. LCD Glass:Matte/ Non-Reflective Surface. Type:Laptop Screen. Data Connector Pin:40 Pins. Laptop Screens. Resolution: 1920 x 1080 FHD or Full HD. Notebook manufacturers use different types of screens when assembling a single model of Laptop. Aspect ratio: Full HD ResolutionWide Screen LED Backlight. This norm dictates an acceptable 2-5 dead pixel. All photos are of the item you are purchasing. Notebook manufacturers use different types of screens when assembling a single model of Laptop. Aspect ratio: Full HD ResolutionWide Screen LED Backlight. This norm dictates an acceptable 2-5 dead pixel. Parts can also differ between Sub models of devices.